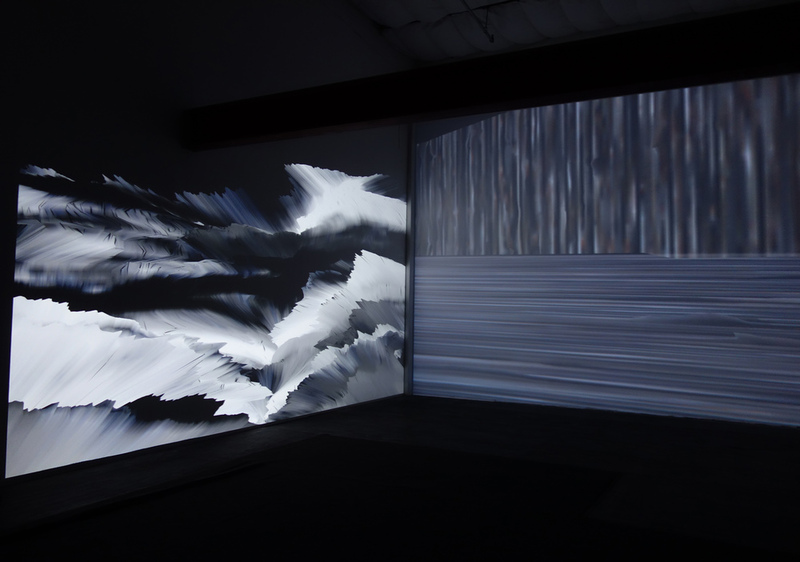 Cory Metcalf and David Stout (NoiseFold) continue their exploration of dynamic digital processes to generate a hybrid synthesis of visual and sonic form. 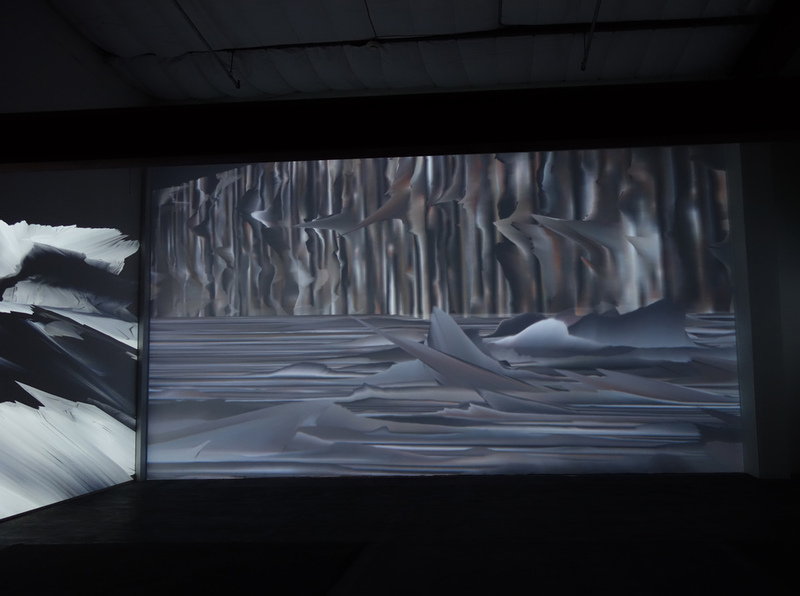 MELT is a realtime, multi-screen video and sound installation. The work depicts a world in flux, where pure formal abstraction exists as a state of continuous fluid upheaval. The viewer-participant is drawn into an elemental vista of sculpted rifts, plunging crevices, eroding plains, crags and caverns. These topological extrusions, resulting from the interplay of diverse digital techniques, are the artifacts of a generative system oscillating between moments of frozen stasis and swiftly accelerating change. This evocative audio-visual environment, suspended in slow glacial retreat, inevitably gives way to unpredictable climactic events. The work can be viewed as a kind of multi-sensory clock, marking heraldic events and providing the viewer a speculative glimpse into deep time.